Lots of bogus polling out there lately. We’ve been working on a comprehensive guide to understanding polls, and how to spot a bogus poll from a credible one. 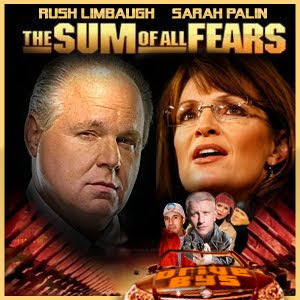 In the mean time, Rush talks about the latest polls concerning Barack Obama and Sarah Palin. He’s on a roll, but starts explaining the problems at 2:14 in the video. One of the real problems, other than the reliability of the sample group: “adults” vs “likely voters” is the fact the new polling doesn’t tell you the political breakdown. In other words, the percentage of Republicans, Independents, and democrats polled. Any poll that doesn’t publish it’s breakdown should be disregarded as meaningless. We notice a lot of polls concerning Sarah Palin never publish their internals at all, let alone the political break down. I wonder why. Yeah, that’s why there are several bills circulating now through Congress to ban lame duck sessions altogether. That’s how pleased America was with the democrats lame duck session! The truth is, these polls aren’t designed to measure public opinion, they are designed to SHAPE public opinion. To create a headline out of whole cloth. To create a narrative. It’s an old trick that sadly, many people fall for. 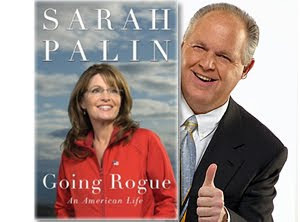 For those of you who were hoping for more policy talk (unlike the Oprah interview) in some of Governor Sarah Palin’s interviews this week for her new book Going Rogue: An American Life. The interview she did with Rush Limbaugh this afternoon provides that. It’s over 10%, and in fact it could be closer to 17 or 18 when you consider those who have kind of given up and not applying for unemployment benefits. So it’s bad, it’s really bad and then of course Fed Chair Bernanke announced that there are still weak job prospects for the very short term and probably long term, and that’s an uncomfortable place for our country to be. What we need to do is shift gears and really head in another direction because what we’re doing right now with the fed, it’s not working. We need to cut taxes on the job creators. This is all about jobs, creating jobs. We have to ramp up industry here in America, and of course reduce the federal debt, quit piling on and growing more. But those common sense solutions there, especially with the cutting taxes on the job creators, that’s not even being discussed. In fact, increased taxes is the direction it sounds like Obama wants to go. You know, to be brutally honest, I think that it’s a bit naive when you talk about the pragmatism that has to be applied in America’s political system. And we are a two-party system. Ideally, sure, a third party or an independent party would be able to soar and thrive and put candidates forth and have them elected, but I don’t think America is ready for that. I think that it is… Granted it’s quite conventional and traditional, but in a good way that we have our two parties, and I think that that’s what will remain. And I say that, though, acknowledging that I’m not an obsessive panther, I understand why people — good people like my own husband — refuse to register in a party. Todd’s not a Republican and yet he’s got more common sense conservatism than a whole lot of Republicans that I know because he is one who sees the idiosyncrasies of the characters within the machine and it frustrates him along with a whole lot of other Americans who choose to be independent. But in answer to your question, I don’t think that the third party movement will be what’s necessary to usher in some common-sense conservative ideals. 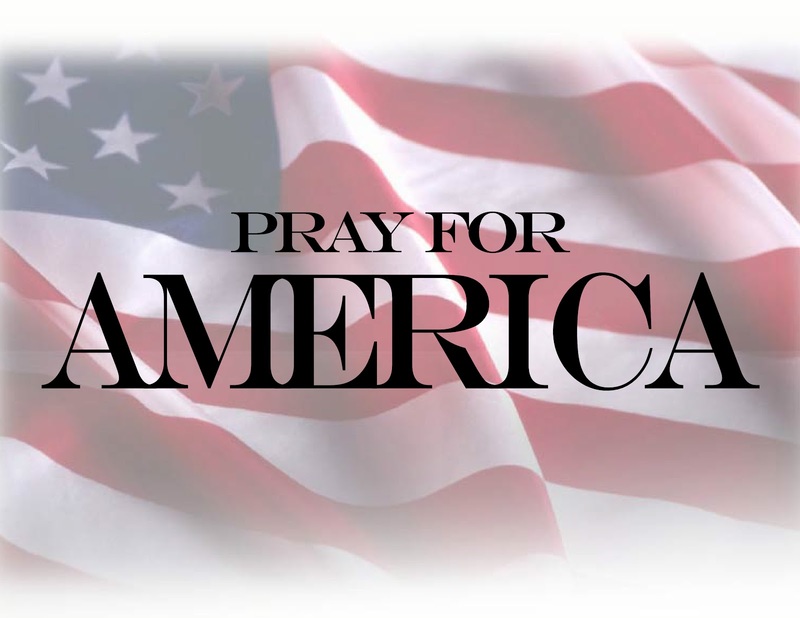 And our greatest challenge with energy is that we’re not tapping it to the abundant domestic supplies that God created right underfoot on American soil and under our waters. It’s ridiculous that we are circulating hundreds of billions of dollars a year in foreign countries, asking them to ramp up production so that we can purchase it from them — especially from the regimes that can control us via energy, using it as a weapon against us, potentially. It’s nonsense that this administration and past administrations haven’t really understood yet that inherent link between energy and security. I think more and more Americans are waking up to the fact, though, and we will hopefully see changes there soon. Well, we don’t really know, do we, what’s in that Senate version, the Senate consideration? It will be soon but we have no idea of costs. We don’t know how many will be insured. We’re waiting to hear that. We don’t know if the tax funding of abortions will be in this new version that’s sitting over on the Senate side. We don’t know if those who choose not to purchase this government-mandated level of coverage will face jail time as punishment. There are so many questions unanswered. I don’t like the idea, in general, of the federal government thinking it needs to take over health care — which essentially this is — and control one-sixth of our economy. Not when there are common-sense solutions to meeting health care challenges in our country, like allowing the intra- and interstate competition with insurers, tort reform, cutting down on the waste and fraud that the Obama administration insists if we just did that we’ll pay for this one-point-some trillion-dollar health care reform package. So lots of common sense solutions that need to be plugged in before ever considering federal government taking it over. Well, I think domestically a threat that we’re facing right now is the dithering and hesitation in sending a message to the terrorists that we’re going to claim what Ronald Reagan claimed. Our motto is going to be: “We win, you lose.” The way that we do that is allow McChrystal to have the reinforcements that he’s asking for in Afghanistan. That sends that message to the terrorists over there that we’re going to end this thing with our victory. We need to start facing Iran with tougher and tougher sanctions that need to be considered. We need to work our allies with the Iranian issues, like Britain and France and not allow access to favorable international monetary deals. That’s a great threat that I think would kind of shake up Ahmadinejad and get him to listen. We need to look at halting Iran’s imports of refined petroleum products. They’re quite reliant on imported gasoline, and we need to use that hammer to wake up the leadership there, too. Those are two big challenges that we have right now, domestically and in naming those two countries, Afghanistan and Iran. Two big challenges there, too. For a an interview that was less than 20 minutes they covered a lot of ground. Be sure to listen (above) or read the whole thing. Shane Vander Hart is the editor of Caffeinated Thoughts. Feel free to friend him on Facebook or follow him on Twitter.